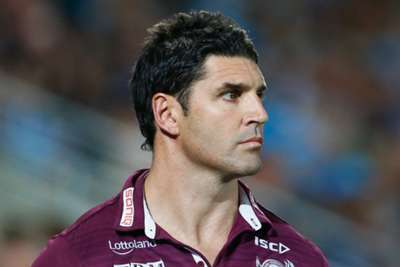 Trent Barrett was frustrated in not being able to offer clarification regarding his future as head coach of Manly Sea Eagles. Recent reports have suggested Barrett, who is contracted at the club for two more years, is set to resign from his role. The Sea Eagles released a statement on Wednesday declaring that "the club's focus remains on ensuring the best possible finish to the 2018 NRL season" and Barrett faced the media 24 hours later. However, any reporters hoping for a definitive answer were left feeling disappointed, as Barrett explained legal reasons meant he could provide no answers of substance. "For legal reasons I can't answer those sort of questions today," he said, ahead of the Sea Eagles' clash with Gold Coast Titans on Friday. "I would certainly like to be able to. That time will come but today's not going to be the day. "[Manly CEO] Lyall [Gorman] is probably the one to answer these questions for you. Out of respect for the club I don't want to sit here and say too much today, and I have been told by the club the legalities around it all that I won't be commenting on it." Asked if he would still be coach in 2019, Barrett replied: "Yes, as I stand here today," but he was not certain when an announcement would be made, while he rejected the notion he had spoken with other clubs, after Penrith Panthers were linked with seeking his services. 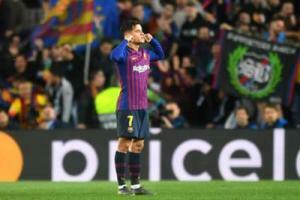 "I would like it out in the open and so would the club, but I understand the club has got a lot of loose ends to tie up and a lot of people to look after," he said. "The last thing I want to do is hurt the club. I haven't enjoyed the last few days. The sooner we can all get some clarity on it I can tell you all. "I haven't spoken to anyone. It's a delicate situation, I want to be a head coach for a long time and that's something I will consider when we clear up a few things here."